Established in 1980 AA1 Discount Locksmith has over 35 years of combined Locksmith experience in the Locksmith business. Honest and dependable we aim to meet your every need in a prompt and professional manner. Whether it be to re-key an old door lock, new lock installation or to add a high security locking system to your property, you can count on us to give you the best service with the fairest price. We provide free quotes and would be happy to assist you in a security audit or your home or business. Our goal is to protect your property and keep your family safe. 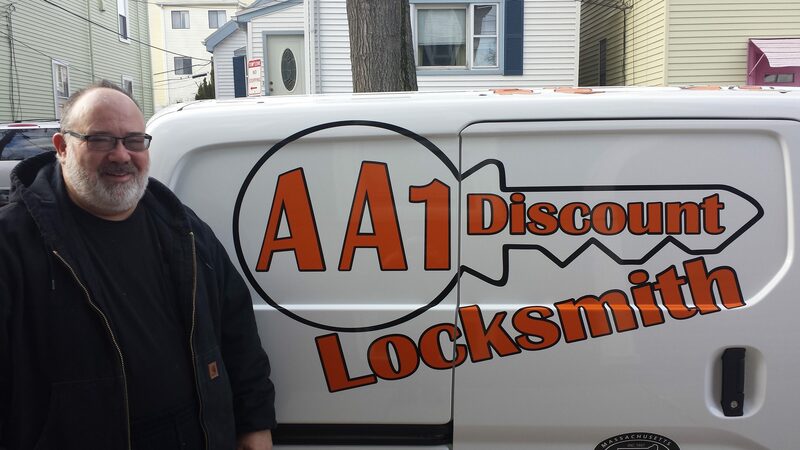 My name is Martin Vieira I am the owner operator of AA1 Discount Locksmith. I was born and brought up in Cambridge Massachusetts. As a young boy I grew up learning to appreciate two great cities Cambridge and Boston. Both cities deeply steeped in tradition, their history second to none. I attended Northeastern University and eventually settled down to raise my family in the great city of Cambridge. I am a huge Boston sports fan and although I am a business man I also understand that my customers work hard for their money. Keeping my over head expenses low enables me to pass along the savings to my customers, something I feel adds to the appeal of my company. I am your local Locksmith, I am also your neighbor, a local guy providing a service that sometimes can unexpectedly pop up without notice. Give us a call, give us the opportunity to show you we are different. Remember, “The estimates and the bad jokes are free”.